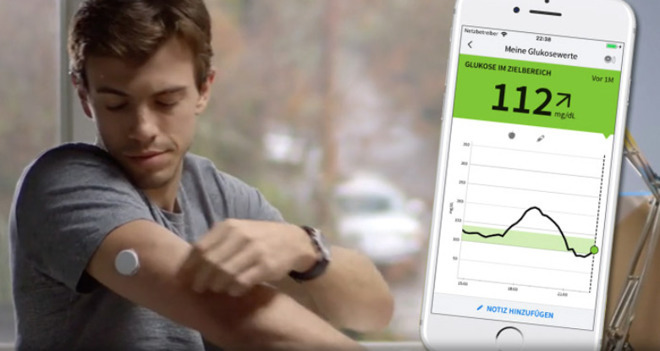 An app for Abbott's FreeStyle Libre glucose reader is said to be the first third-party iOS title to make use of the NFC chip in Apple's iPhone, previously reserved only for Apple Pay. To sync glucose readings, users only have to hold their iPhone against the Libre, according to Abbott. The app doesn't yet appear to be in the U.S. App Store, and was spotted by iPhone-ticker.de. With iOS 11 Apple introduced Core NFC, allowing third-party iPhone apps to scan NDEF (NFC Data Exchange Format) tags. Notably the technology also requires an iPhone 7 or better, despite NFC chips being in iPhones as old as 2014's iPhone 6. Access to NFC has been a contentious point with developers, some of whom are accustomed to the relatively open support on Android devices. Indeed Australian banks fought a battle to offer their own digital wallets through NFC, but Apple resisted and was ultimately supported by the Australian Competition and Consumer Commission.